The Audi A5 Cabriolet which was launched as one of the Bratpack models in 2017 will be updated along with the Audi A5 Sportback. The face of the 2020 Audi A5 Cabriolet looks almost similar to the 2020 Audi A5 Sportback. The rear of the test mule is predominantly camouflaged. It is expected to be launched in 2020 alongside the Audi A5 Sportback. After seeing a slew of new Audi models being tested including the Audi A5 Sportback, the new refreshed Audi A5 Cabriolet doesn't come as a surprise. 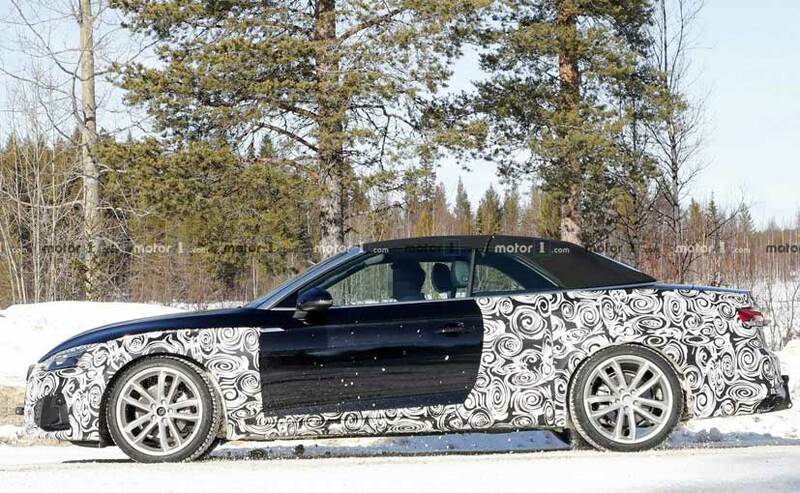 Unlike some of the previously spotted models which were completely camouflaged, the Audi A5 Cabriolet is wearing minimal covers (even lesser than the Audi A5 Sportback) which hints that changes in its design will be very limited compared to other models and majority of them will be in its rear while the front will be updated partially. The fenders and rear haunches are partially under the wraps and we expect small changes to their design. 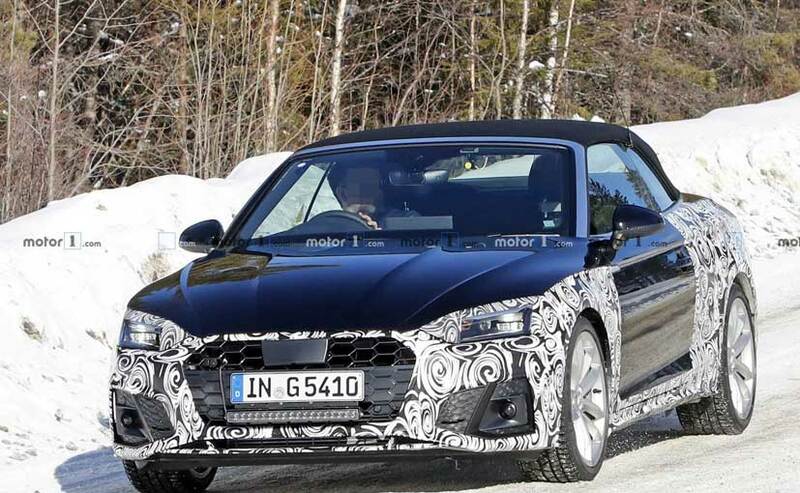 The face of the 2020 A5 Cabriolet looks almost similar to the 2020 Audi A5 which in turn looks familiar to the Audi A4 for most of its part. Up front, it gets the identical grille and quite a similar bumper profile. The design of the headlamp is familiar, however, the hood retains the same character lines with no changes at all. Coming to the side, the fenders and rear haunches are partially under the wraps and we expect small changes in their design which are likely to be done just to go with the new bumpers. 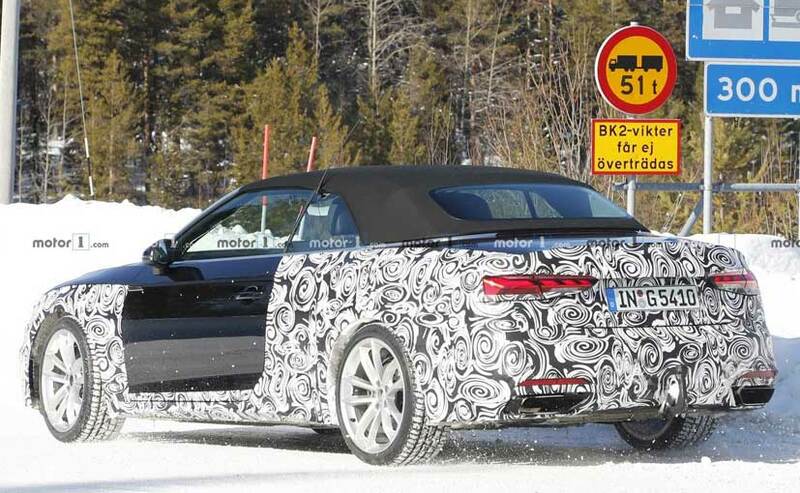 The rear of the A5 Cabriolet is predominantly undercover like the 2020 A5 Sportback. Even here the design looks slightly related to the latest Audi models, especially of the sleek LED tail lamps and the rectangular exhaust pipes. The rear of the A5 Cabriolet is predominantly undercover. The Audi A5 Cabriolet was one of the Bratpack models which were launched in India in 2017 along with the A5 Sportback and S5. The Audi A5 Sportback has already been spotted testing and the S5 is also expected to get similar design updates. Considering, the lifecycle of a model, 2020 is when they should be getting a facelift which is also relevant for the Indian market.